The Bar Council of India has issued an apology on the behalf of the lawyers involved in the assault on JNUSU president Kanhaiya Kumar and the attack on journalists. The Bar Council has also set up an inquiry and has said that lawyers involved in the violence could lose their licence. "A three-member committee will probe the violence. They will submit a report in three weeks". On 17 February, a large group of lawyers shouted slogans, threatened and attacked Kumar's supporters as well as journalists at Patiala House Court yesterday. 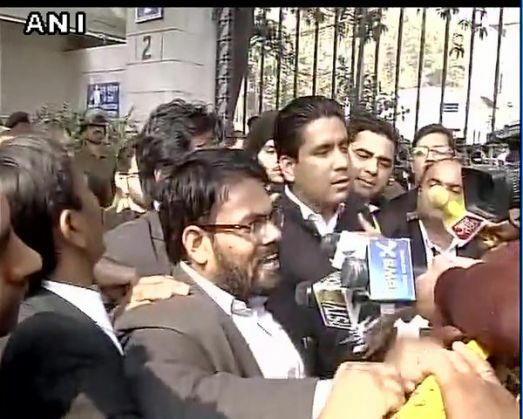 Some lawyers from the group had assaulted JNU teachers, students and the media on 15 February too.